In this episode, we meet with Fisher Adelakin. Fisher is a student at Purdue and has worked at a panoply of tech companies, with his most recent stint being at Slack. We discussed his perspective being black in tech, his influences growing up in Nigeria and much more. Students Who Design is written and produced by Sahil Khoja and Omar Abdul-Rahim. In this episode, we are speaking with Genesia Ting. 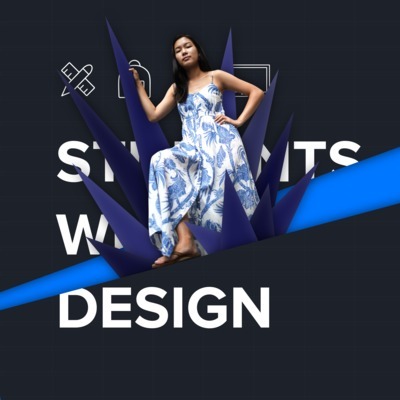 This young - and I mean young - designer recently graduated from UC Davis, has made a name for herself winning hackathons across the country, and has been most recently practicing design in the very hot civic tech space. We had a great time talking about her unique academic career and her thoughts from working at the US Census Bureau, first through the Civic Digital Fellowship and now as a full-time product designer. Students Who Design is written and produced by Sahil Khoja and Omar Abdul-Rahim. In this episode, we meet with Jason Yuan. If you haven’t already seen his Apple Music redesign, we strongly suggest you do because it’s truly phenomenal. With over 47,000 claps on Medium, this article shows just how good a student design case study can be. Just a little required reading from Students Who Design. Beyond his famous redesign, we were able to discuss Jason’s beginnings in theater, his thoughts on formal design education, and more. Students Who Design is written and produced by Sahil Khoja and Omar Abdul-Rahim. In our final episode, we are joined by none other than the co-host of this series, Sahil Khoja. 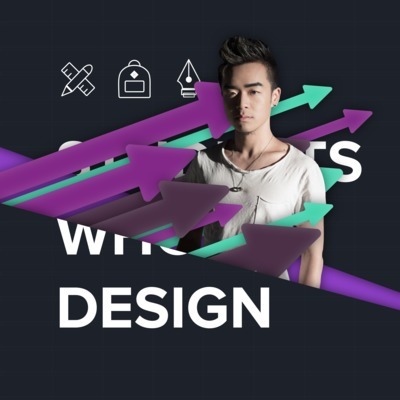 We discuss his journey into product design and the resulting learnings, the Students Who Design project, and so much more. Sahil studies Information Science at Cornell University. He has previously held product design internships with Facebook, Intuit, and Dangle, and he will be interning this coming summer at Instagram. Sponsored in part by Facebook Design. In this episode, we are joined by Ethan Bond to talk about ethics within design, finding your first few design projects, and so much more. Ethan studied computer science and product design at Rensselaer Polytechnic Institute. He currently works full-time as a product designer at Palantir and has held product design internships at Palantir and Facebook. Sponsored in part by Facebook Design. In this episode, we talk to Karen Li about her role as president of UC Berkeley’s premier design consultancy, her thoughts on the product design internship recruitment process, and so much more. Karen studies Cognitive Science at University of California, Berkeley. She has previously held product design internships with Facebook and with Quora. Sponsored in part by Facebook Design. 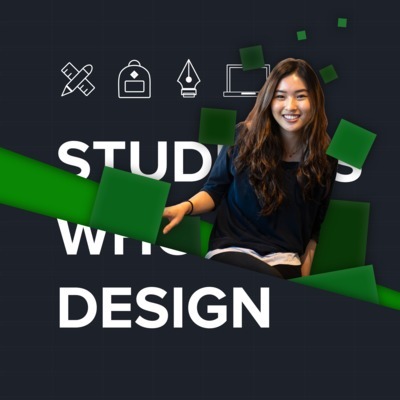 In this episode, Jackie Liu joins us to discuss breaking into design with a technical academic background, the importance of diversity and representation in design, and so much more. Jackie studies computer science (Course 6) at MIT. She has previously worked as a product design intern at Girls Who Code. Sponsored by Facebook Design. In this episode, we speak with Dionisio Blanco about the fascinating world of design in the 3D space - that is, VR/AR design. We also discuss dealing with imposter syndrome and so much more. Dio studies Game Design at Ringling College of Art and Design. He spent this past summer at Facebook working as a Social VR Intern and has cofounded his own VR interior design showcasing startup, NeotradeVR. In this episode, we talk to Catherine Legros of Emily Carr University about the benefits of taking a gap year, creating your own design education, and so much more. 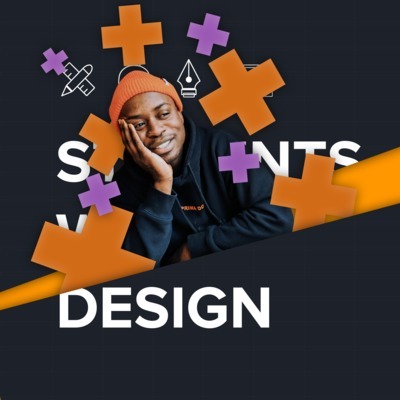 In this episode, we talk to Humphrey Obuobi about product design versus product management, founding a student design agency, and so much more. Humphrey is a student at Harvard and has worked at Microsoft and IDEO. In our fourth episode, Cameron Pollack, photographer extraordinaire and government major at Cornell University, discusses his experience as a photojournalist on campus and in the industry, the merits of learning your craft on your own, the interplay between photography and his numerous other involvements, and so much more. Cameron has worked as a photojournalism intern at The Philadelphia Inquirer, a multimedia journalist at WXPN (Philadelphia’s NPR member station), and as photography editor for The Cornell Daily Sun. He is credited in many other publications, including The New York Times, The Chicago Tribune, NPR, and Buzzfeed. In our third episode, we talk to Meghan Maupin about her academic background as an architect, her various design and design-adjacent experiences, her life as a grad student at MIT’s small, selective, and interdisciplinary Integrated Design & Management program, and so much more. Meghan has worked at Partners in Health, Shepley Bulfinch, Formlabs, MIT Design Lab, and Patagonia. In our second episode, we talk to Ally Keller, student at Parsons School of Design, about crossing between design disciplines, dropping out of school to pursue design, and so much more. Ally studies Design and Technology at Parsons. She has worked as a product design intern at Facebook and has done agency work at Red Antler and Code and Theory. Sponsored by Facebook Design.